Yesterday I had a very interesting meeting with the Director of the UK branch of the Tutu Desk Campaign. 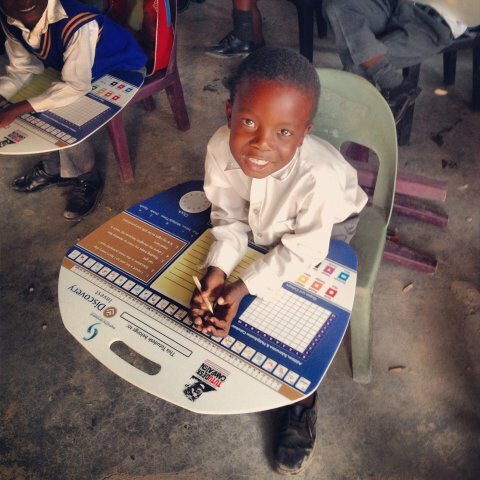 A project which started in South Africa in 2002 providing school desks to children in need throughout Africa. The product is a very simple piece of plastic which acts as a desk for the children to use both at school and at home to do their homework. The clever campaign gains funding by working with corporate sponsors who use the desk as a useful advertising tool. It was great to meet and find out more about the project which hopes to provide 20 million children school desks in Africa and hopefully will branch out into further continents in the future! I also had a great meeting with a fellow fundraiser to try and gain some inspiration and fresh ideas as to how we will raise more funding for the ‘Moving Schools’ campaign in the next two months. On that note if anyone reading this lives in the South East Building Trust are holding a Jumble Sale in Westmeston this Saturday morning. Give me an email at louise@buildingtrustinternational if you live in the area and would like to donate any items or would like to attend. Well after a fantastic fun Induction day at Newbury Racecourse it was time to start my full time placement. Having co-founded Building Trust International just over a year ago I have already been working full time on a voluntary basis for the non profit organisation, however now with the assistance from Vodafone I will be able to get down to the hard work and not worry about money for a few weeks which is a great relief! To give a bit of background on myself I graduated from Brunel Unversity in Industrial Design in 2007 and then spent the next 3 years working as a soft toy designer for Walt Disney Co Ltd. It was an amazing job with incredible experiences and opportunities working for a fantastic team. I still retain a great connection with both my team at Disney and the Design department at Brunel. I contacted my former Head of Design tutor last summer and on return from travelling he kindly agreed to meet up and discuss the possibilities of Brunel University and Building Trust working together. Well since then things have been moving with great speed and we are very proud to have two briefs implemented into the Level 1 and the Level 2 Design for Manufacture and Communication module. Day one on my placement was spent reviewing some of the Level 2 students ideas and feeding back to the head lecturer. The brief we set the Level 2 students is to come up with a Charity Campaign for Building Trust. 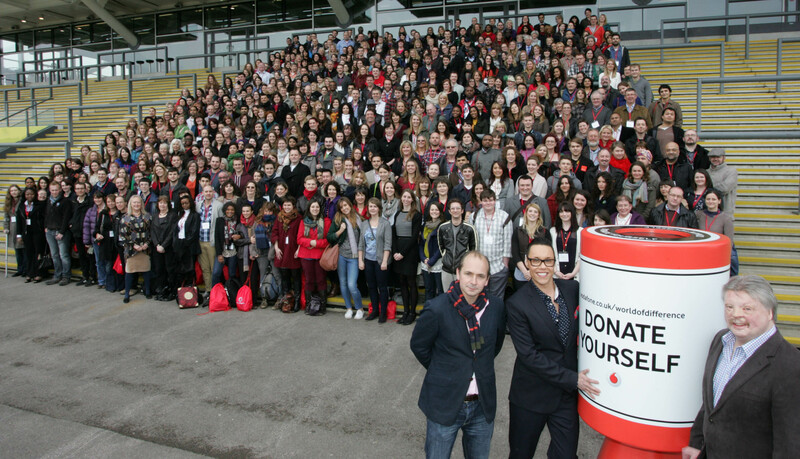 On January 31st I presented to 160 Brunel students about our charity and the work we do. It was great to see interest and enthusiasm from all the students who soon joined our Facebook group and helped us increase the public awareness of our charity and the issues we are tackling. The students are coming up with some very interesting and exciting campaigns which I look forward to sharing with you when I go in to see the results next Tuesday. It is fantastic to work with such great design thinkers and working along with a reputable educational institute such as Brunel allows our charity to discuss our ideas with some fantastic young minds. In my two month placement I will be continuing to build the relationship between Universities and Building Trust to widen the student awareness of how design can be used as a tool for positive social change. On another note we also had a meeting with a steel manufacturer in London to discuss the school build which will take place later in the Summer. The meeting was very positive and we look forward to developing the winning design with the manufacturer. In August 2010 myself and my boyfriend David Cole left our city jobs in London to go traveling. We set off very excited to see the World, visit new cultures and explore new continents. We always had in mind that we would like to do some voluntary work while we were away however we really did not know what we had in store. On the first part of our trip to South East Asia we visited Thailand, Indonesia, Malaysia and the Philippines. Along the way we researched about many “Voluntary” placements but were very disappointed to find that most companies charged you to take part in their voluntary schemes. We were saddened by this and felt that people should be able to help out communities in need for free. In January 2011 we visited Mae Sot, Thailand a small town on the border of Burma. Our visit was to be an eventful and a life changing trip which we will never forget. 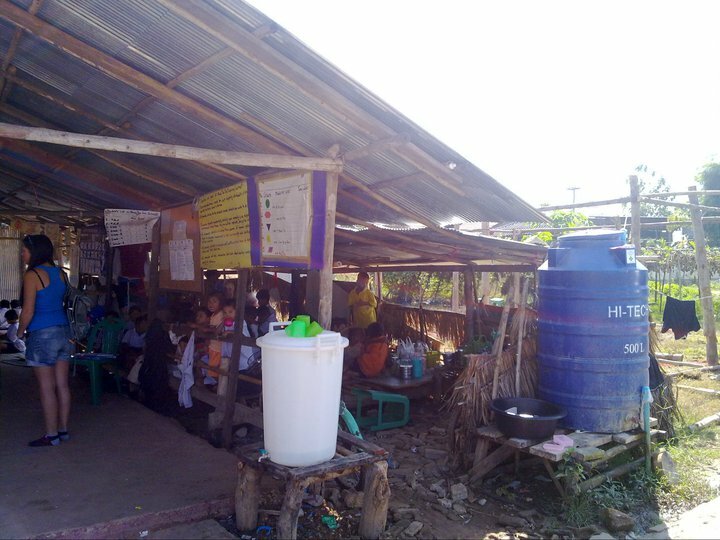 Before we reached Mae Sot, we were already aware of the large number of Burmese refugees who were seeking refuge in the town. We knew there were many schools in the area looking after the children of migrant workers. On our first day we met Naw Paw Ray, a truly inspirational woman. Naw Paw Ray herself originally from the Karen State of Burma saw a problem in Thailand that non-Thai’s were unable to gain an education in the country. 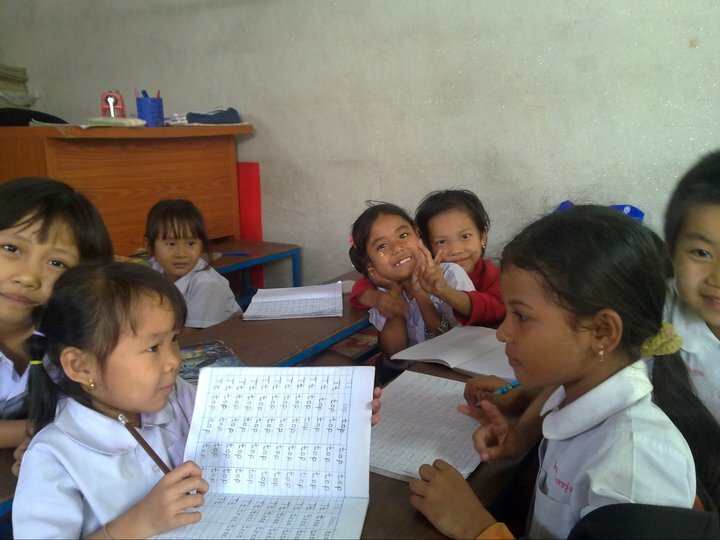 She decided to set-up her own school for non Thai’s in the area which grew to be an umbrella organisation in charge of 65 schools looking after 13,000 displaced children in Mae Sot called the Burmese Migrant Workers Education Commitee. She kindly took us around the varying level of school buildings in the area, many of which were agricultural sheds with tarpaulin sheds used to make classrooms. We learned that there was help from many large aid agencies in the area, however Burmese do not have a right to own land in Thailand. This leads to a terrible problem, new school buildings are being built in the area but the land which the building is built on is owned by a local landlord who can then raise the rent of the land forcing the students and teachers out of the school building which they can no longer afford. It was then that a seed of an idea was planted and we came up with an idea to organise an International design competition asking Architects, Designers and Engineers from across the World to come up with a school design which could be constructed and disassembled if the need arose, moved and then reassembled at very little cost . Well in order to set-up the competition we decided to register Building Trust International with the Charities Commission in the UK. We launched the School4Burma competition in July last year and had an incredible response with over 800 expressions of interest from over 30 countries. By entering the competition entrants were asked to give a donation of £95 for Professionals and £25 for students with all donations going towards the cost of the school construction. We announced the winners of the competition in December a design by Amadeo Bennetta and Daniel LaRossa from Berkeley, CA. 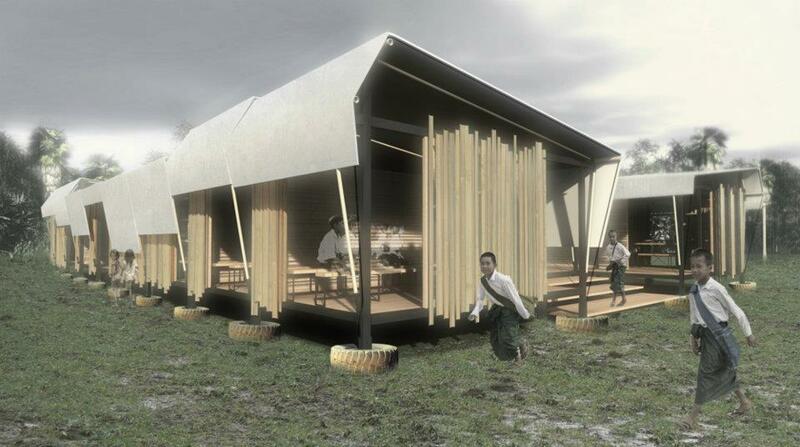 We are looking forward to taking the design into the construction phase this summer and I am looking forward to spending the next two months of my placement gaining further public awareness of the design, our charity and the ongoing situation in Burma. 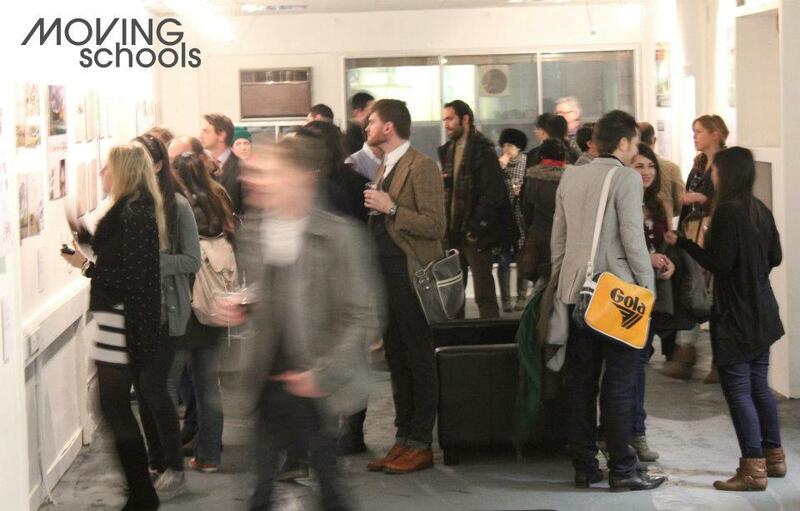 We held an exhibition of the winning and shortlisted designs at a POP up space on Oxford St, London at the beginning of February which was a great success. The ‘Moving Schools’ event attracted much attention and with the high level of shortlisted designs we are now hoping to gain funding and corporate sponsorship to build the other designs for further communities in need. On my placement I will be looking into finding the funding for these designs. The more schools we can build the more communities in need we can help. Today we met with a steel manufacturer to discuss the details of the school build and really start the ball rolling on construction. I will be in charge of coordinating volunteers to assist on the build in Thailand this summer who will not have to pay to work on the build but volunteer their time and services for free. If you would like to see more of the designs from the competition please visit the Building Trust International website – http://www.buildingtrustinternational.org and be sure to Like our Facebook page. What started as an idea is really now growing into a huge community of designers, architects and engineers who want to give their time through Building Trust International to help those most in need around the World. Many thanks for reading I look forward to keeping you up to date with my placement. When I found out the amazing news that I was one of the chosen successful applicants of the Vodafone World of Difference Placement programme I was over the moon and could not wait to start working full time for my chosen charity Building Trust International. I was also really looking forward to the induction day where I would get the chance to meet the other winners and discuss with them about their chosen charities and what they would be doing on their placements. Well yesterday myself and the other 499 winners made our way to Newbury Racecourses to have our induction day. I didn’t quite know what to expect but within minutes I found myself deep into conversation discussing with the others about the fascinating work they were going to be carrying out for their chosen charities. It was amazing to hear from a wide range of people about their very varied and different charities from the great work by Becca at Tackle Africa providing HIV education through football coaching to Sarah’s work at Engineer’s Without Borders. It was very motivating to hear from people who were already giving a great deal of their time to help people in need. Simon was one of several speakers including survivor Lisa Potts whose speech about overcoming her terrible ordeal which led her on to great things including setting up the charity Believe to Achieve was very powerful and told us that even though terrible situations can happen to us in life it is what we do after and how we focus our thoughts which can lead us on to great achievements. We also heard from former WOD 2010 winners Justen Schafer Humes and David Clare who after a very fulfilling two month placement at their chosen charities have gone on to continue their great work at The Odysseus Foundation and Habitat for Humanity. It was great to hear that for many people the Vodafone placement is only the beginning of the story. To finish the day we had a final discussion from Simon and Vodafone WOD champion Gok Wan who although in great pain from a back problem gave a great speech on his previous work with the WOD winners and how he really believed that people can make a difference. Well after a fantastic day, I am now starting Day One of my placement and am greatly looking forward to the next two months working for Building Trust International and hearing more from the other successful winners. My next blog will be about the work I will be carrying out on my placement and how you can help out to! Look forward to meeting all the fantastic WOD placement winners at our inducation day on Monday. Have a great weekend and see you on Monday! !